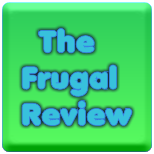 FRUGAL REVIEW: Entertainment Books Are On Sale For $10! They Normally Sell For $35. Entertainment Books Are On Sale For $10! They Normally Sell For $35. Purchase the Entertainment Book for the 1 Day price of $10.40.